COACH Matthew Wong shares his passion for soccer fundamentals with area youth. There is a new sports league coming this fall to participating schools in Hollywood and Wilshire. The league is for boys and girls in 4th to 6th grades, with a designated sport for each season of the 2015/16 school year. Soccer season runs from the beginning of school until Dec. 15. Basketball season runs from Jan. 18 to Mar. 8. And volleyball season runs from April 12 to May 23. The co-ed league is managed by JMG SoccerWise, a family-owned business founded by Matthew Wong, who says he is “extremely excited” to be creating a local interscholastic league. 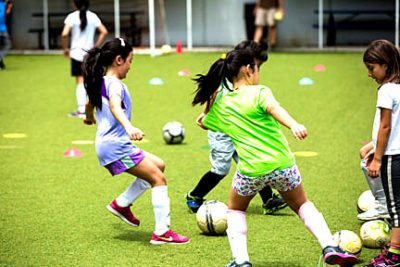 In 2005, Wong—who has played soccer since he was five—began teaching for a franchise that catered to children ages 3 to 8 years old, but felt there were lost opportunities for development. It was from this idea that JMG SoccerWise was born. The league will require all students to play at least half the game, with professional and semi-pro coaches on hand for instruction. “Our coaches don’t just tell them the definition of respect, honesty, sportsmanship, sharing, patience, discipline and courage, they role model these qualities in how they teach and interact. Participating schools include Brawerman East, Center for Early Education, Citizens of the World, Hollywood Schoolhouse, Pilgrim, St. James Episcopal and Temple Israel of Hollywood. 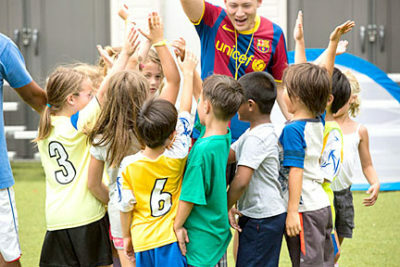 For information on league enrollment and schedules for the upcoming season, visit jmgsoccerwise.com or call 323-801-6391.